In mammals, including humans, blood courses through the circulatory system, being pumped by a four-chambered heart. When returning to the heart, after delivering nutrients and oxygen to all parts of the body, blood is depleted in oxygen. The lungs are continuously extracting oxygen from the atmosphere to replenish the blood. But in order for this replenishment to take place, the circulatory system must have a way of sending the blood to the lungs to pick up a new supply of oxygen. 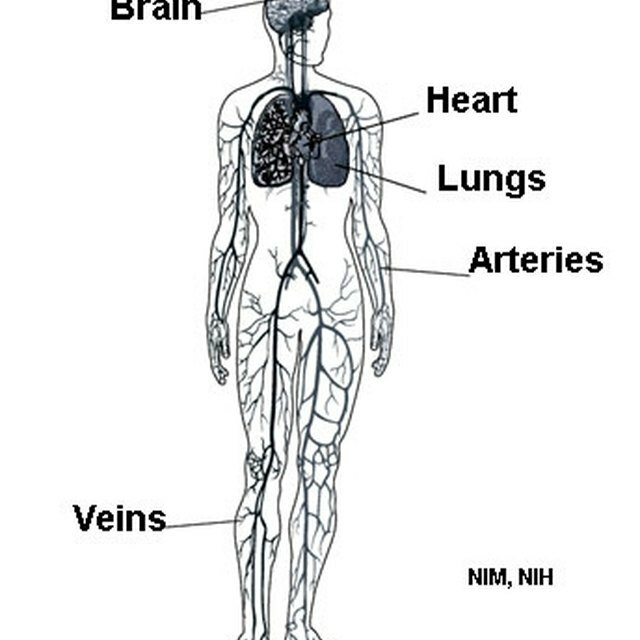 The heart and a system of arteries and veins perform this function. 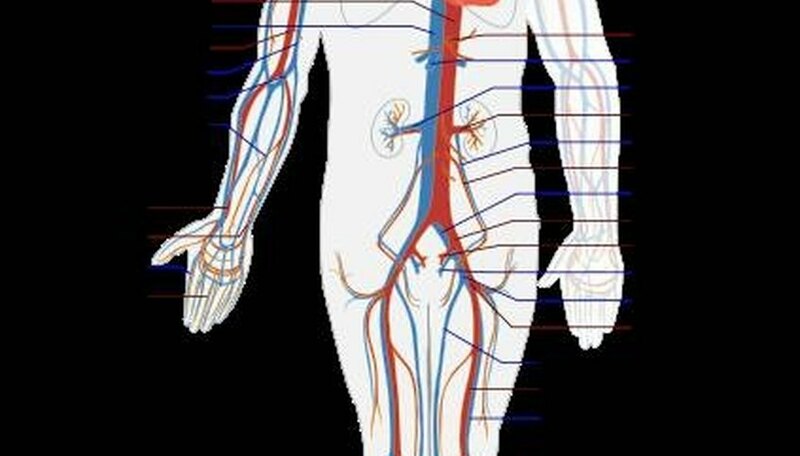 The general rule is that arteries carry oxygenated blood and veins carry deoxygenated blood. The rule has one pair of exceptions, though, and that is the pulmonary artery and pulmonary vein. The pulmonary artery carries oxygen-poor blood, and the pulmonary vein carries oxygen-enriched blood. Each of the four heart chambers (two atria and two ventricles) has a major blood vessel either leading into it or out of it. In other words, each chamber is either pumping blood out of the heart or drawing blood into it. In the case of the pulmonary artery, it is connected to the heart's right ventricle. When the right ventricle contracts it pumps blood out into the pulmonary artery, which leads to the lungs. The blood that is delivered to the right ventricle is oxygen poor blood that has returned from all parts of the body. Once it has arrived at the fine network of blood vessels in the lung tissue, blood gives off carbon dioxide and picks up oxygen. The network of vessels in the lungs leads to larger and larger vessels that eventually become the pulmonary vein (following the direction of blood flow toward the heart). The pulmonary vein leads to the heart’s left atrium, a chamber that delivers oxygen rich blood to the left ventricle. When the left ventricle contracts, newly oxygenated blood is pumped through a large vessel called the aorta. The aorta branches out into a network of arteries and leads to smaller and smaller vessels that connect to all parts of the body. The oxygenated blood is delivered once again to supply the body with needed oxygen. Just as in lung tissue, the network of vessels (the finest being capillaries) leading from the heart is continuous with those leading back to the heart. Thus, the circulatory system in its entirety is a circuit. Red blood cells (erythrocytes) contain the complex, iron-based protein compound called hemoglobin. The erythrocytes, and the hemoglobin they contain, function to bind oxygen and carbon dioxide, releasing carbon dioxide into and picking up oxygen from the lungs. Miller, Donald. "How Does Blood Get Oxygen?" Sciencing, https://sciencing.com/blood-oxygen-5158751.html. 24 April 2017.